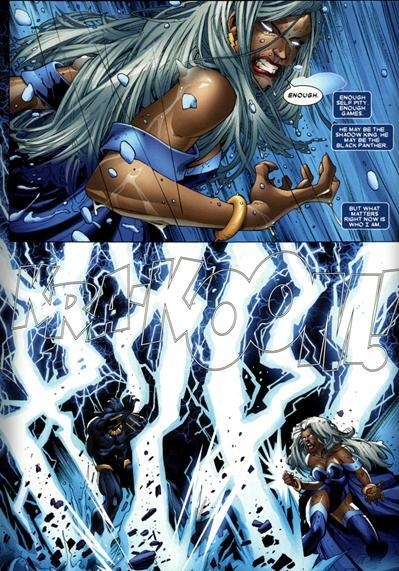 T’challa viciously attacks his wife Storm but the Shadow king has exposed through close combat that T’challa still prevents him from fatally wounding his wife. This opening allows her to fight back. Cyclops commandeers a plan in hopes of killing the X-men. Storm manages to render him unconscious and she and Nezhno sneak back into the heart of Wakanda and place T’challa on the altar to Bast. As the soldiers descend on them Storm falls to her knees praying to Bast. Bast comes to her aid and the soldiers moved by the display lay down arms against her acknowledging her as their queen. She orders them not to allow T’challa to awakens as she and Nezhno rush to San Francisco to stop Cyclops. In San Francisco Pixie and Emma get attacked by Cyclops under the shadow king’s control. Art-Eye candy from start to finish. The expressive eyes continue to shine. Meeting of gods- Ok the icing on the perfect cake which was this issue had to be Storm’s gamble of going to Bast the Panther god for help. Bast is her usual boisterous self but Storm stands her ground and gains her respect. The scene where the Panther’s rally to her side and the wakandan‘s fall down at her feet was chill inducing stuff that really pushed this story into must have territory. Action- Storm was clearly outmatched taking on her husband but it was a damn entertaining read. 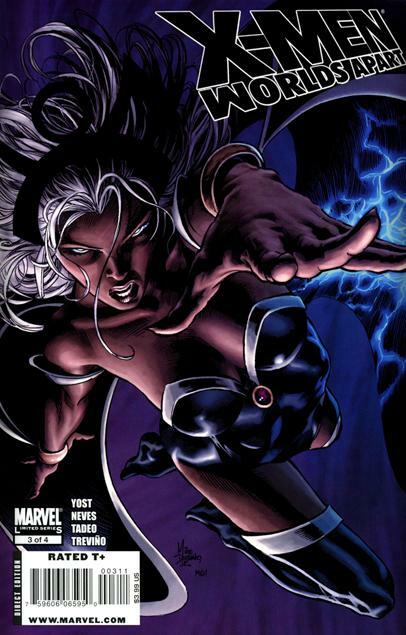 Continuity- Nods to Storm’s past as a thief allow her to pick locks and her powers are used well both in her fight with T’challa and infiltrating Wakanda. The small bit with Emma attacked telepathically by Shadow king and going Diamond to protect her self was also well crafted and typical characterization for her. Cyclops insecurities about being controlled by her from the start are also things that many a fan and x-man has wondered , so it was handled well. Cover- Not sure what they were thinking with this one but it’s a def drop in the cover quality with this one. Nezhno– Pretty useless in this issue.